The MacBook Pro makes a very impressing performance showing whether it is running the Mac OS or Windows. Most consumer-level applications will run on it just fine. In terms of professional-level apps, that's going to depend on what kind of workload you're taxing the system with. In our tests, the MacBook Pro easily held its own in Photoshop CS5, and it even surprised us with its speedy Final Cut Pro 7 rendering time. The MacBook Pro 15-inch is one of the computers with most visibility at the moment. 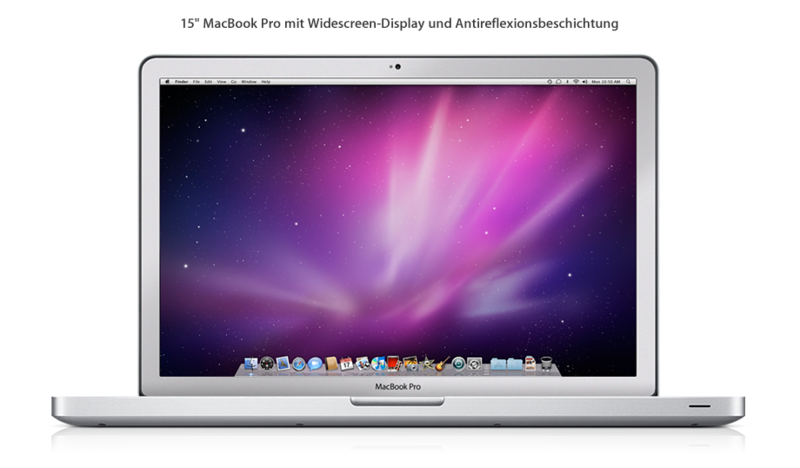 The MacBook Pro 15-inch 2010 is based on the qualities of its predecessor and improves performance levels and what was already very long battery life. A machine to recommend for all usage, as long as your budget extends to the price tag Apple have posted. The new 15" MacBook Pro is priced at Rs. 1,09,900, Rs. 1,19,000 and Rs. 1,29,900 forthe 2.4Ghz, 2.53GHz and 2.66GHz respectively. The pricing is not what you would call competitive and as usual spec for spec the MacBook Pros don't hold up the competition. It's not terribly good value for money, especially when you consider that Apple short changes you for things like an extra USB port or providing something like the Apple Remote in the package. You would also need to get separate adaptors for things such aVGAorHDMI out, something that most notebooks these days have on-board. Then there are also otherthings such as support for Blu-ray drives or having bigger hard drives on board. 250GB hard drive on a notebook costing more than Rs. 1 lakh is just being miserly. In terms of features, its mainly the hardware that has changed from the previous versions. Previously, all Apple notebooks featured Intel CPUs on Nvidia chipsets, particularly the GPU-powered Ion chipsets, and some 15-inch and 17-inch ones even had secondary discrete GPUs, which boosted the performance even further. Despite everything I just wrote about connectivity, the fact is that new MacBook Pro 15in is a gorgeous notebook to use. You can show me better benchmark results, without doubt, but in the real world this machine boots up quickly, runs smoothly, responds to commands instantly, operates quietly and performs slickly. It looks stylish in an understated way, and heads will surely turn when you place the machine on a boardroom table. In emotional terms, it's the computer equivalent of stepping into the Cannes sunlight on a hotel balcony facing the sea while wearing a casual Armani suit, no tie. You're telling yourself "I paid way too much for this" but you love every second of it. Not only is the MacBook Pro 15in the best constructed notebook computer you can find, it’s now also one of the very fastest. In fact, it’s the most powerful laptop we’ve ever tested. There are alternatives with more powerful graphics systems, but none that maintain such a good balance between performance and extended battery life. If you need the best designed notebook money can buy, or just a safe and dependable operating system running on the fastest portable hardware, the MacBook Pro 15in Core i7 sets the new benchmark. Apple's new 15-inch MacBook Pro 2.66GHz Intel Core i7 is a superb machine.Aside from its incredible power, amazing battery life and upgraded graphics facilities, it's packed with features that really impress. Its aluminium unibody enclosure is sturdy and light, the keyboard illuminates when it gets dark and like all Macs, it comes with Apple's impressive iLife suite, offering a bundle of excellent applications for video editing, music creation, web design, digital photo organisation and a DVD authoring. It's been almost 12 months since Apple updated its premium MacBook Pro range. The design remains the same, but Apple's latest MacBook Pro has received a welcomed upgrade under the hood. The glossy display, slow hard drive and poorly positioned USB ports remain issues, but better performance and battery life than previous models make this notebook a winner. 80% MacBook Pro review: Worth the upgrade? Apple’s MacBook Pro has been left without Intel’s latest Core processors while PC rivals streak ahead, but by updating its all-aluminium notebooks Apple has slipped inside a few new features alongside the new silicon. The new MacBook Pro remains the best looking, easiest to use, and most powerful standard-spec lap-dweller we’ve ever used, but there’s not much call for the upgrade itch to be scratched if you already own one of Cupertino’s machines. This Core i7-powered MacBook is a sound investment if you can stretch to £1,799 and genuinely need the extra performance. Even so, give the Core i5 versions due consideration as they’re good enough for a lot of office work and you can spend the difference on more practical upgrades like the high-resolution screen. The least expensive model - £1,499 for a 2.4GHz processor - will be more than adequate in many cases. The new MacBook Pro brings with it the power and the performance for those who need to be able to work on the move. The graphics switching update is welcomed, but looks to need a little more refinement and we'd have liked to see more native control options. Put the 2010 15in MacBook Pro next to last year’s model and you’d be hard-pressed to see any difference. But put on your x-ray specs and peer through the aluminium unibody chassis and… well, you’d still be hard-pressed to see much difference. Unless you can tell the difference between Core 2 Duo and Intel Core i5 (or i7, depending on your budget) chipsets. Apple's MacBook Pro 15 remains the same excellent system on the outside but gains some much needed internal improvements. The Core i5 adds a much needed performance boost to stay current. The new hybrid graphics system also automatically switches between the integrated and dedicated graphics to help it boost its already class leading battery life. While the cost of the new MacBook Pros makes it unlikely to convert sceptics, die-hard Apple users will appreciate the evolution of this refresh. Both performance and battery life are increased noticeably and Apple's design flair and refinement remain unmatched. If you're overdue an upgrade, or looking at your first foray into Mac ownership, the 15-inch MacBook Pro is a fine option. 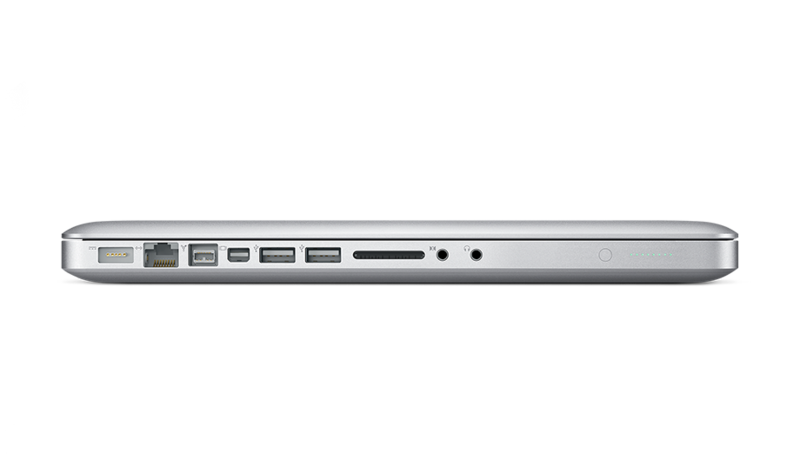 My new MacBook Pro looks virtually identical to my late 2008 15" MacBook Pro, but it’s a whole different animal. The new Core i7 Processor is much, much faster than the Core 2 Duo in my old MacBook Pro. The Intel Core i7 is a very welcome addition to the MacBook Pro line, even though it took much longer for Apple to roll it out compared to PC notebook manufacturers, many of which introduced Core i7 notebooks back in October 2009. The allure of the MacBook Pro is simple. With power enough to please performance die-hards, and the poise to please fashionistas, Apple's flagship laptop was always destined to impress. But, with previous models still chugging along on Core 2 processors, many will have been holding off for this inevitable Core i7 upgrade. 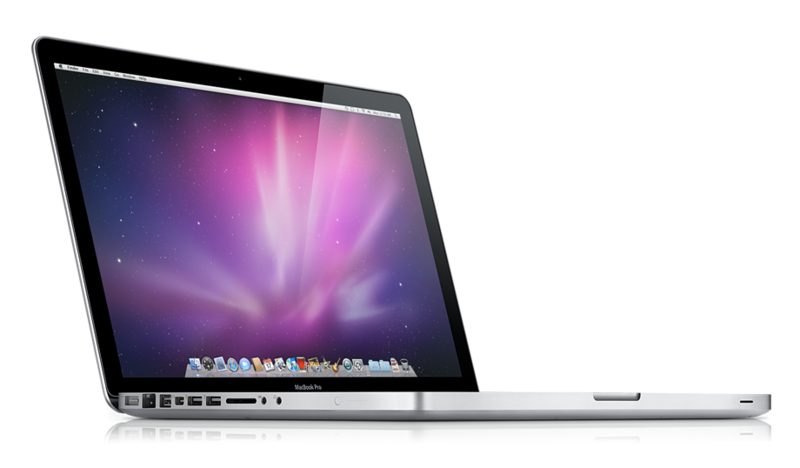 For the most part, our conclusions about the 2010 15-inch Macbook Pro remain true. If you’re using an older MacBook Pro, the upgrade is well worth it. You’ll see a sizable performance boost and an increase in battery life as well. It’s only compared to the previous generation unibody MacBook Pro that you’ll find the upgrade tougher to justify. Not to mention the finicky switchable graphics and potentially more power hungry CPU can make real world battery life closer to the 4 - 6 hour range rather than the almost guaranteed 5+ hours you’d see on the previous generation. The new 15-inch MacBook Pro is the ideal machine for the serious notebook user and the best so far. It’s compact enough to be comfortably portable, but packs enough power for even the most demanding user. But at £1800 it’s not cheap, although you’re getting a lot of Mac for your money. Updates to Apple's MacBook line of laptops generally fall into two categories: there are major evolutions, such as the switch to an aluminium unibody construction in 2008, and then there are minor spec upgrades, typically small bumps to processor speed and hard-drive size. The high-end 15-inch Apple MacBook Pro that we reviewed keeps the same look and feel as its predecessor but offers major internal changes, including an Intel Core i7 CPU. It's a portable powerhouse but it'll cost you. Apple certainly listened to complaints about their previous dual-GPU system and streamlined the switching process; now, ironically, we find ourselves asking for a nudge arguably in the other direction, with a more obvious indicator of when the NVIDIA graphics are active. That would certainly allow users to make a more educated choice between processing and runtimes. If you’re coming to the MacBook Pro range fresh then we can’t argue with the power on offer, though you’ll pay a premium price for it: our Core i7 review unit is the most expensive preconfiguration, at $2,199. Existing owners considering an upgrade should think long and hard about whether they actually need the bump in crunching on offer, and we’ll be interested to see how the lower price, Core i5 versions fare in benchmarking. It’s a testament to how much the MacBook Pro line gets right that Apple need only make so few changes beyond refreshing CPU and GPU; they demand deep pockets, certainly, but you’re getting an incredible solid, high-performing machine for your money. Updates to Apple's MacBook line of laptops are always closely watched, and they generally fall into two categories: there are major evolutions, such as the switch to aluminum unibody construction in 2008, and then there are minor spec upgrades, typically small bumps to processor speed and hard-drive size. Apple's 15-inch MacBook Pro keeps the same look and feel, but offers major internal changes, including an optional Intel Core i7 CPU, making it a very serious portable powerhouse. Basically, it's exactly what it says on the tin: a faster MacBook Pro. ... Apple has carved an amazingly large niche out for itself by building incredibly expensive laptops incredibly well, and this generation is no exception, but we're not convinced there's enough here to warrant an upgrade for people who bit last year. Apple has once again produced a well conceived and well designed notebook that smartly integrates the latest cutting edge technologies in a way that is unique. Not only is the latest 15-inch MacBook Pro powerful, but it lasts a long time on a charge. However, while this machine is among the most portable notebooks with a 15-inch display, 5.6 pounds is a fair amount of weight to carry around. If you care more about portability than endurance, the 13-inch VAIO Z is the better splurge. But if you want a big screen, excellent battery life, and plenty of muscle in a compact package, no other system comes close. For those Mac fans who have been waiting for the updated MacBook Pro line, the wait is over. Given that the company just launched what probably is the hottest product of the year in the iPad, followed by a slew of compelling iPhone OS updates a couple of days later, a delayed Intel refresh on the laptops was completely understandable. And that's exactly what you'll get with the new Apple MacBook Pro 15-inch (Core i5) ($1,799 direct). The new system has the same magnificent-looking aluminum chassis as the previous model, but what's inside has changed. And it includes a fast Intel Core i5 processor and the addition of a seamless graphics switching technology that Apple developed on its own. It's the must-have Apple laptop for performance-hungry Mac users. At first glance, you may not notice anything different about Apple’s latest line of MacBook Pros, introduced in April 2010. The new models, which feature 13-, 15- and 17-inch screens, sport the same sleek, minimalist design, the same keyboard, and the same multi-touch trackpad as the previous iteration. Apple takes what was already good and makes it even better, with the inclusion of Core i5 and Core i7 processors, much-improved graphics technology, and unbeatable battery life. The Retina display is a display which has high enough pixel density that the human retina can’t distinguish individual pixels and was first introduced as a cutting edge technology together with the iPhone 4. Thanks to the retina display, the iPhone 4 was called "Best device in its class" by The Wall Street Journal, and "Best smartphone on the market" by Engadget. 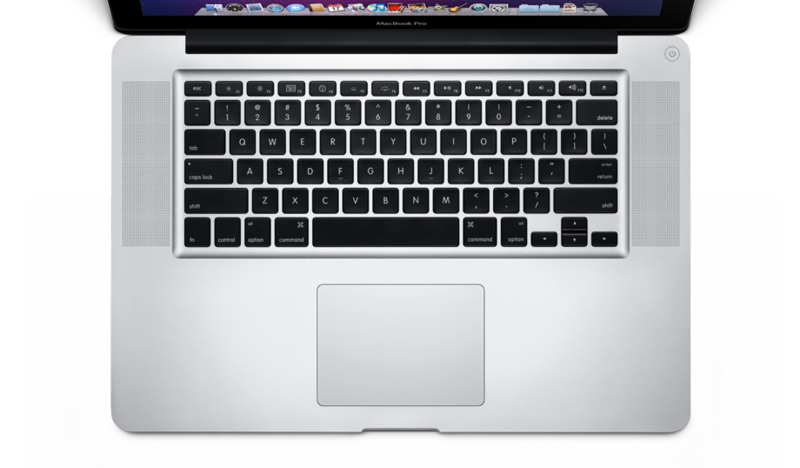 The MacBook Pro with Retina display introduced at the WWDC in San Francisco in June 2012 is a separate product line, independent of the original MacBook Pro and should continue the success of the iPhone. Apart from just the retina display, this new laptop also features a new design similar to that of the MacBook Air, but without Super Drive as well as Ethernet and FireWire 800 ports. 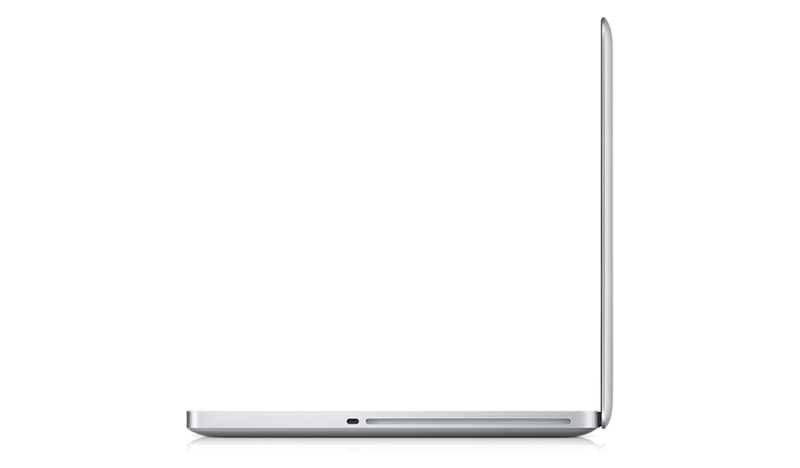 Unlike the original MacBook Pro series with standard hard drive, it includes a Solid State Drive. In short, every technological advantage of Apple are concentrated on this new MacBook Pro with Retina display, from the amazing display found in the iPhone, iPad to robust system performance of the MacBook Pro as well as the portability, design and flash storage - this laptop has it all. 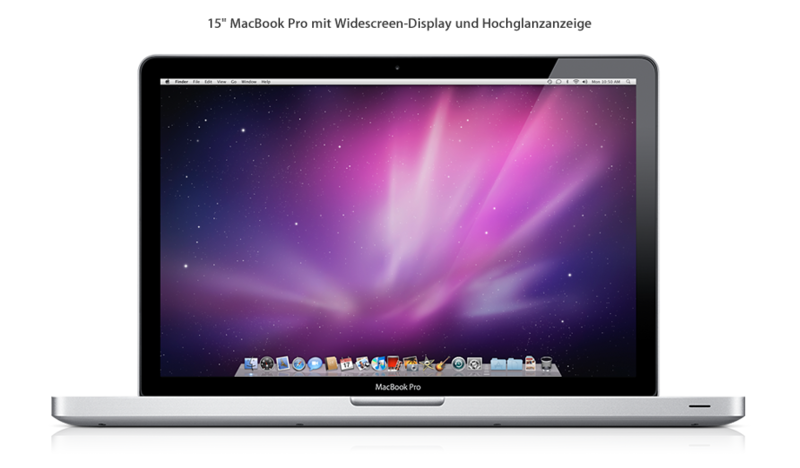 In particular the retina display is the sharpest computer display and outclasses every other laptop or computer display by far at the time of its introduction. It is that important that Apple even decided to call this laptop "MacBook Pro with retina display". In fact, the display alone outweighs the biggest disadvantage of the new MacBook Pro, the price – it's Apple we are talking about. If you can afford the steep entry price, this is the most amazing laptop money can buy. 85.1%: This is a good rating above average. Nevertheless you should not forget, that 10-15% of all notebook-models get a better rating.